A visual exploration of how the brain develops throughout our lives. Just as neurons communicate through mutual stimulation, brains strive to connect with one another. 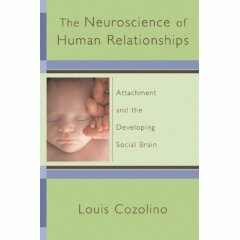 Louis Cozolino shows us how brains are highly social organisms. Balancing cogent explanation with instructive brain diagrams, he presents an atlas of sorts, illustrating how the architecture and development of brain systems—from before birth through adulthood—determine how we interact with others.